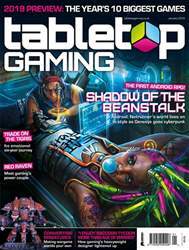 Two of gaming’s most revered designers are taking on one of the tabletop’s most popular themes. 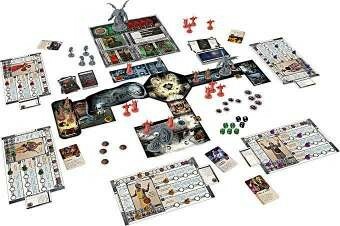 Death May Die is a collaboration between Eric Lang (Blood Rage, Rising Sun) and Rob Daviau (Pandemic Legacy, Betrayal Legacy) and sees players battling the forces of cosmic horror – but unlike Eldritch Horror and its ilk, here the ritual to awaken the slumbering nightmare has already begun and it’s only a matter of time before the Old One arrives. The episodic adventure mixes story, action and atmosphere – plus plenty of monstrous miniatures. After raking in a cool $2 million on Kickstarter last year, Death May Die is due to emerge from the realm of nightmares this July.